Over the last five years, countries around the world have begun to undertake new initiatives to improve maternal health outcomes by strengthening midwifery care. The 2011 and 2014 State of Midwifery in the World reports, the 2014 and 2016 Lancet series on midwifery and maternal health and the World Health Organization’s 2016 Midwives’ Voices, Midwives’ Realities report represent an effort to recognize a historically overlooked cadre of the health workforce. The International Confederation of Midwives and its member associations have garnered greater awareness and helped position midwifery as a legitimate and essential—yet often missing—part of reproductive and sexual health services. New initiatives like the Midwifery Services Framework have begun to systematize and guide how countries can and should rally behind midwives. Thanks to the collective work of these and other players, there is now strong evidence that midwifery is associated with more efficient use of resources and improved health outcomes for women and babies, especially in settings where teams of health providers work together and referral systems are robust. The Lancet’s case studies on India, Brazil and China show how promoting facility-based delivery and emergency obstetrics and newborn care can help reduce maternal and perinatal mortality. However, when these are not accompanied by the integral care that midwifery offers, there can be unintended negative effects including an increase in unnecessary, expensive and potentially harmful interventions and inequities in access to care. A paradigm shift towards a woman-centered, respectful maternity care model entails generating sufficient practitioner capacity and recognizing midwifery as a legitimate and necessary element of maternal and reproductive health care. In order to facilitate implementation, the John D. and Catherine T. MacArthur Foundation has funded projects to promote midwifery, establish knowledge and models that encourage the effective integration of midwives into the health system, increase the legitimacy of and demand for midwives and generate a supportive legal and regulatory framework. In 2015, the Foundation launched an ambitious time-bound initiative to strengthen professional midwifery in Mexico, where roughly 23,000 traditional midwives provide care for less than 3% of the nearly 2.4 million births annually. While there are 16,000 obstetric nurses in Mexico, many have not been properly trained in the full range of midwifery skills. This undertaking requires incorporating diverse voices and mobilizing local communities. Grassroots organizations in states such as Guerrero and Chiapas are working with traditional and professional midwives to foster an environment that respects and meets the cultural needs and desires of indigenous women who often lack access to high quality, culturally appropriate maternity care. Many organizations have been working towards this goal, sharing information online through the Midwifery Community of Practice launched this month. Some work in conjunction with the Mexican Ministry of Health (MoH) aims to expedite movement towards the midwifery model of care. For example, through an intersectoral group for the promotion of midwifery, the MoH, Pan-American Health Organization, United Nations Population Fund, National Safe Motherhood Committee and the MacArthur and Kellogg foundations launched a competition for state ministries interested in strengthening local initiatives that incorporate professional midwives. Selected states will receive technical assistance, equipment and financial support for these efforts. Next year, the MacArthur Foundation will assess progress in building momentum around midwifery to improve women’s access to high quality maternity care in Mexico, comparing advances to its 2015 baseline report. All of this is happening in a country that is facing severe challenges including budget cuts, human rights violations, violence and corruption—all of which have negative implications for the health system. Despite tremendous challenges, champions in Mexico and elsewhere are moving the needle towards adopting a midwifery model of care, illustrating the power of collaboration among passionate individuals to drive improvements in maternal health care quality. Have you tried similar strategies to promote a midwifery model of care? We want to hear from you! 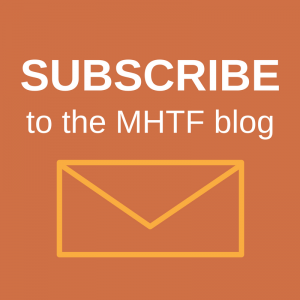 Read an interview with the Maternal Health Task Force (MHTF)’s Rima Jolivet about the role of midwifery in reducing maternal mortality. 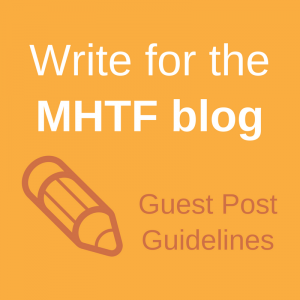 Explore other posts from the MHTF’s Global Maternal Health Workforce blog series. Learn about organizations working to improve maternal health in Mexico.